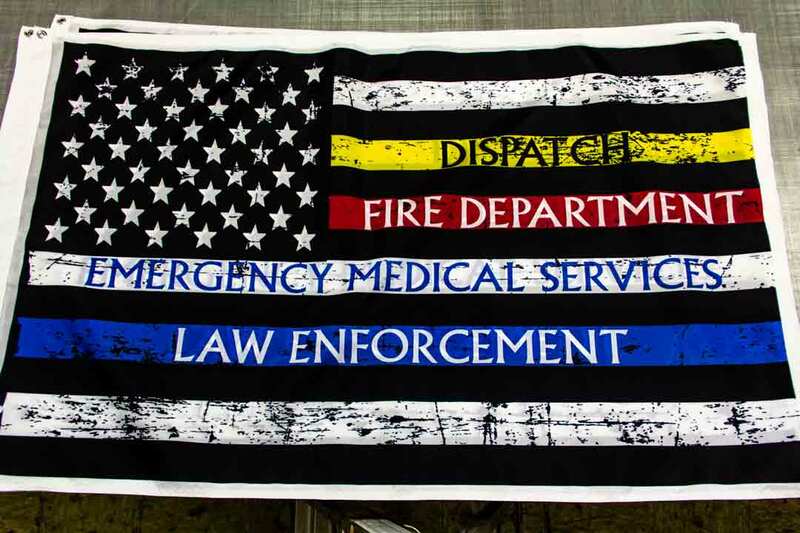 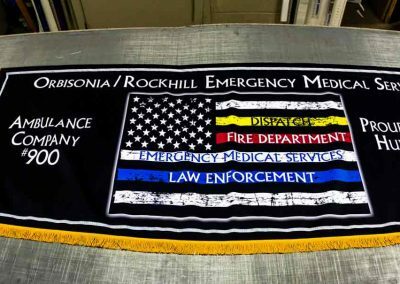 Check out this set of custom flags and parade banner created for EMS Ambulance Company #900 serving the Orbsonia/Rockhill area of Pennsylvania. 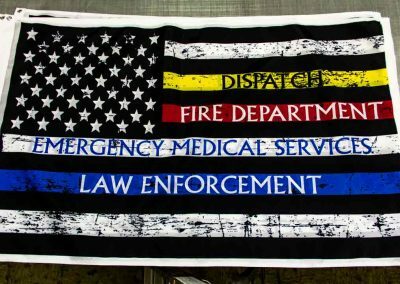 The team needed something to honor those in service within the community with their own twist on the American flag, highlighting the organizations that serve their community. 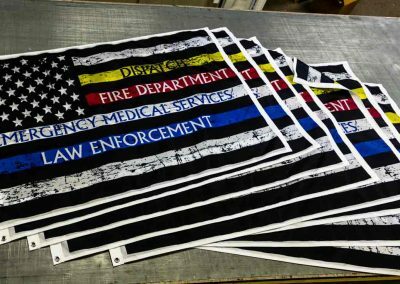 We also craft a parade banner to be carried ahead of the group when walking the Huntingdon Parade, as seen in their Facebook cover photo. 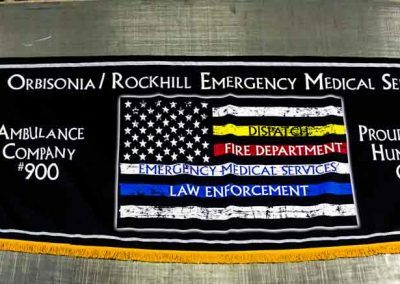 To visit the Orbisonia/Rockhill PA EMS Company 900’s official page, click here.